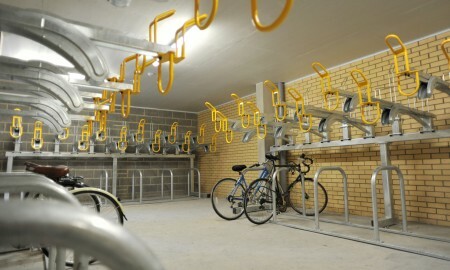 ND10 The Zone is a residential apartment complex designed by Barratt Homes in the Temple Quay area of Bristol. 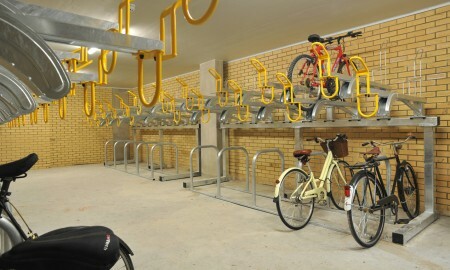 Comprising of a large number of apartments surrounding courtyards the facility for mass cycle parking required something a little ‘different’. 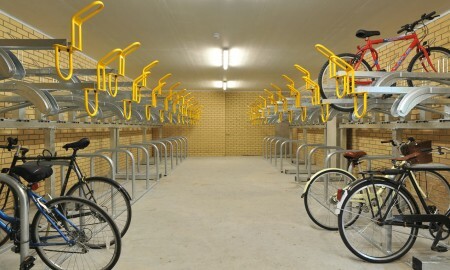 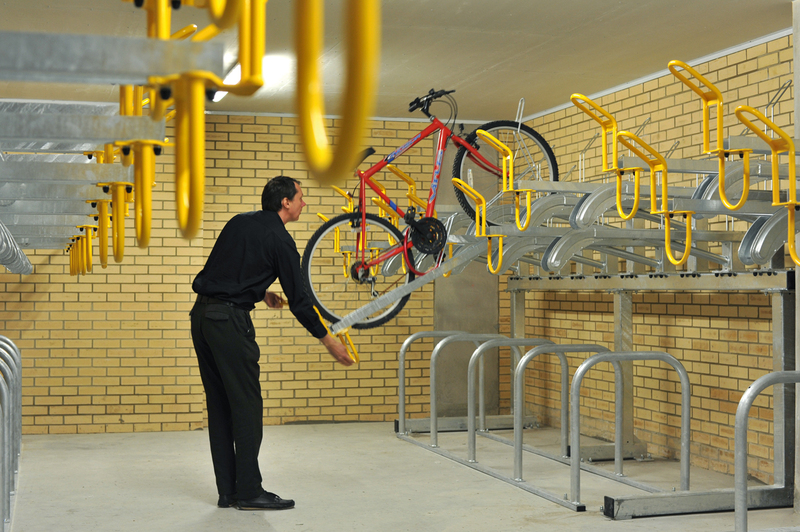 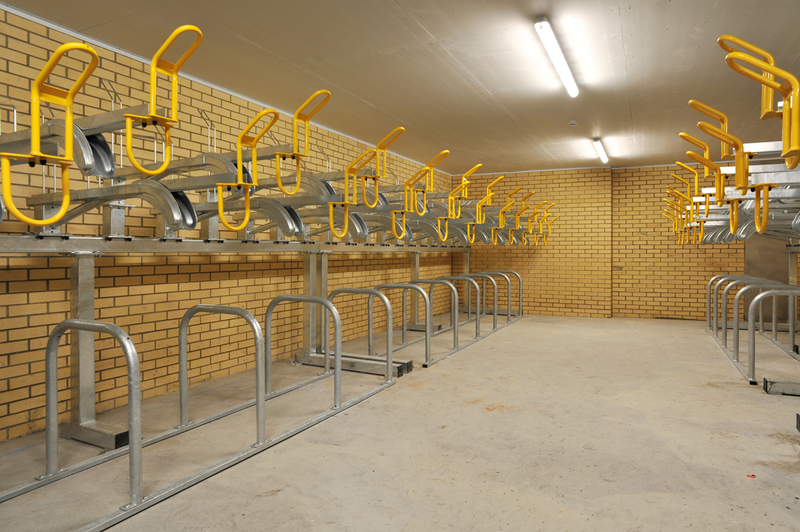 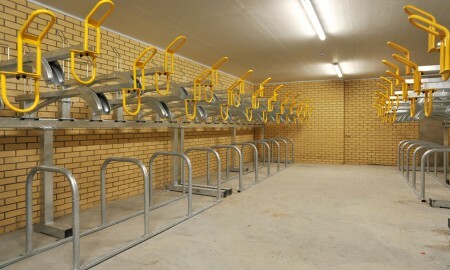 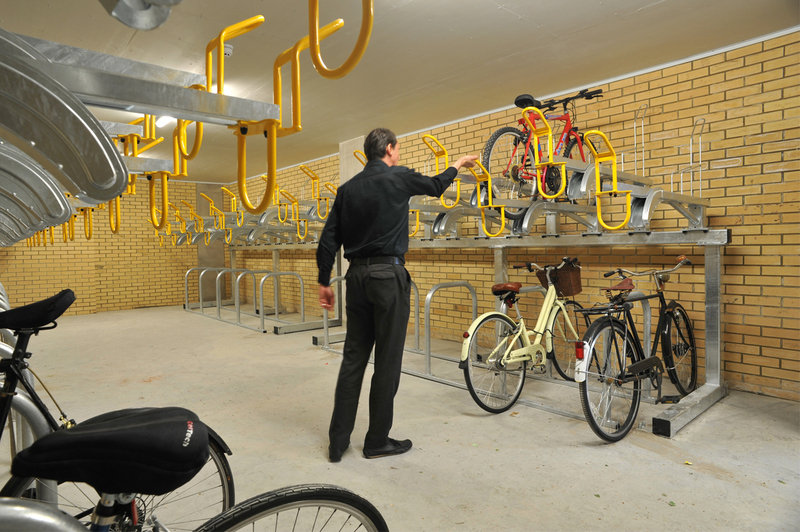 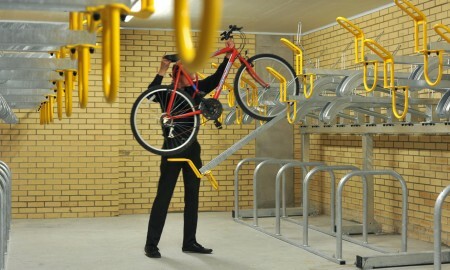 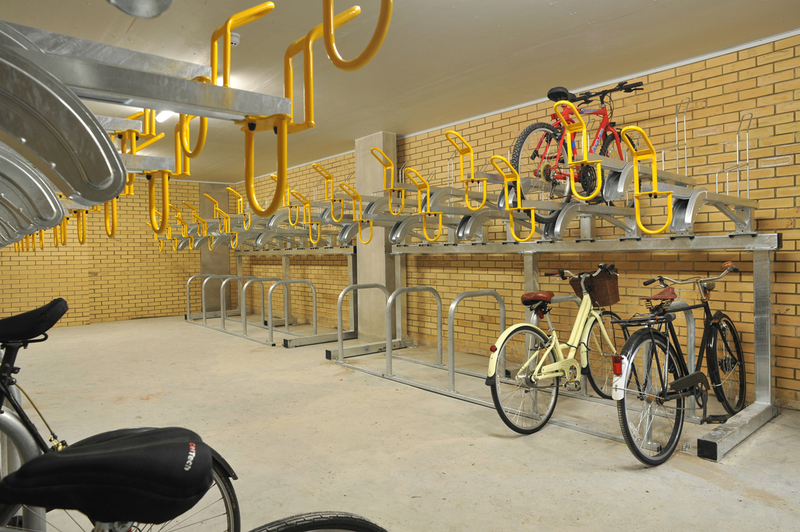 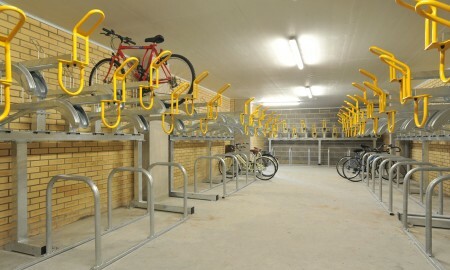 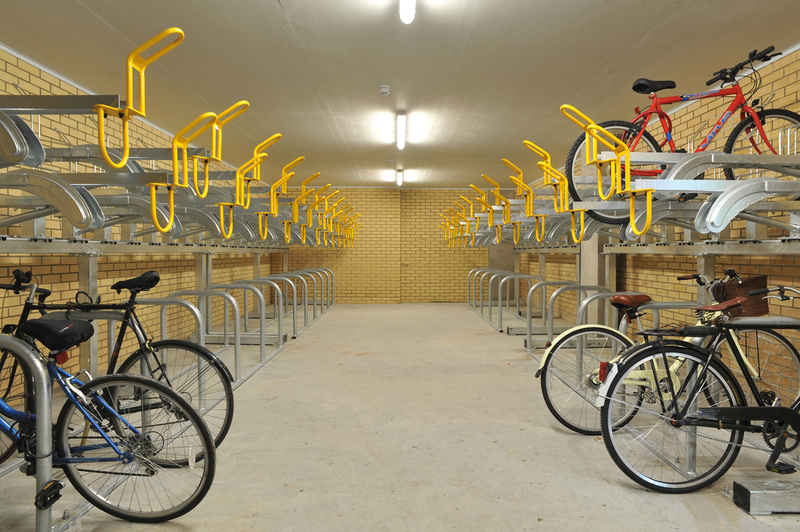 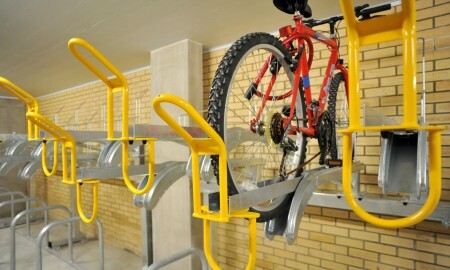 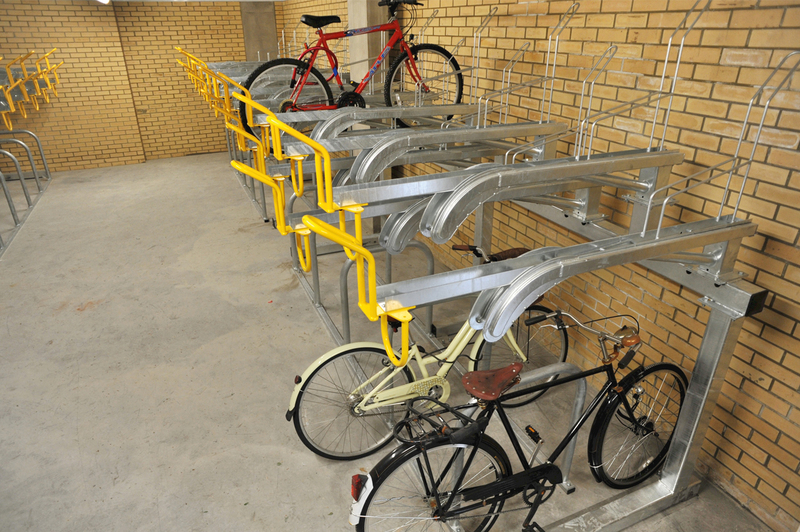 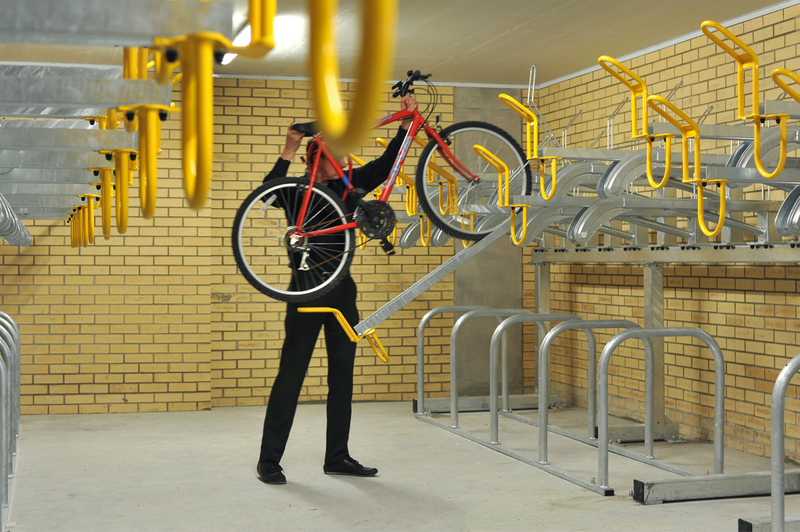 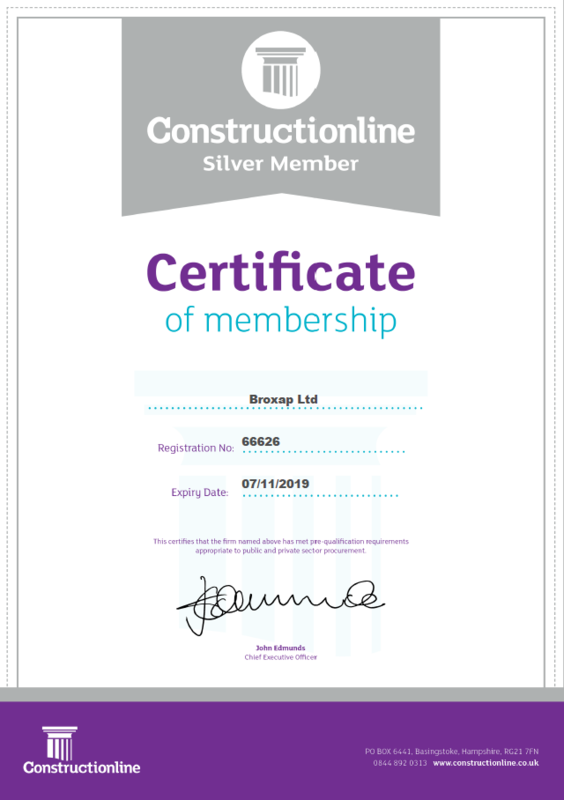 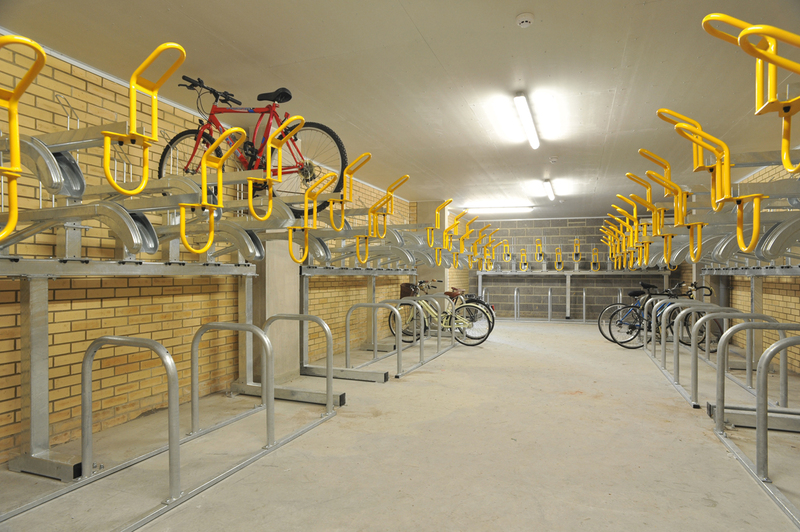 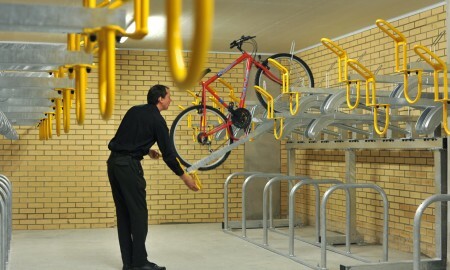 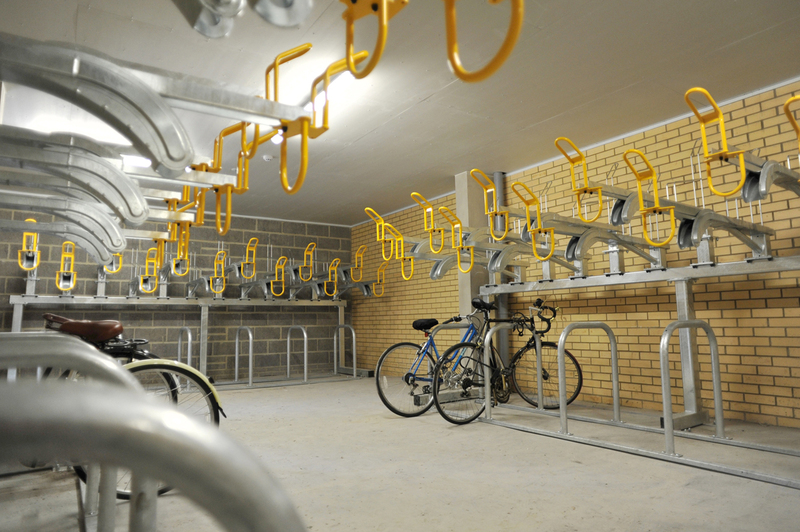 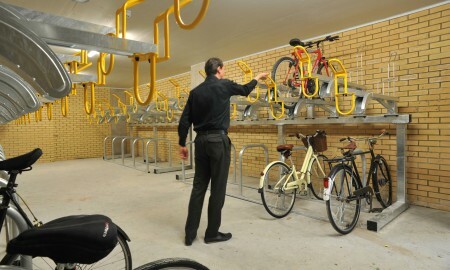 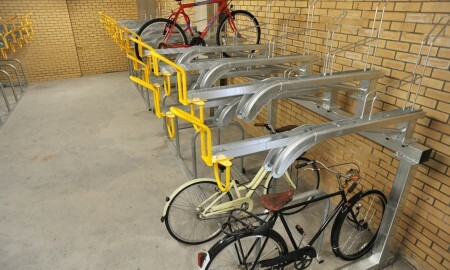 Broxap were charged with creating a system that could be utilised in a basement area yet still create cycle parking for almost every apartment user. 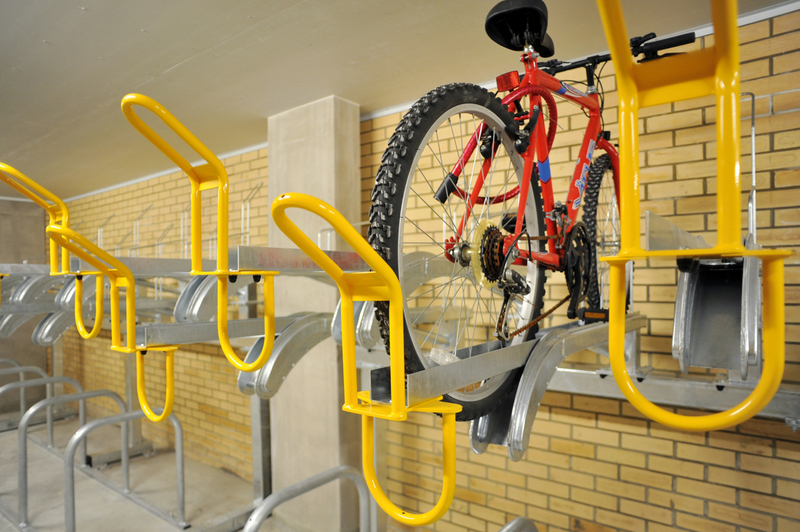 The Hi-Rise fitted this criteria perfectly as the two-tier system was easily accessed in the basement areas by positioning the system down the length of each wall and then across the facing wall at the end of the basement area. 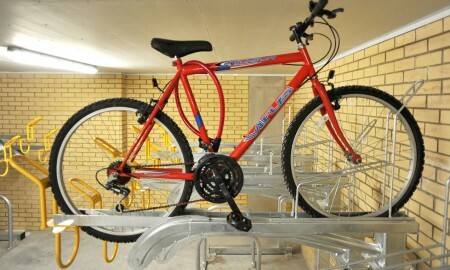 The Hi-Rise easily offered cyclist the ability the load and unload their cycles and to lock and store them in a safe and dry location within their own apartment block. 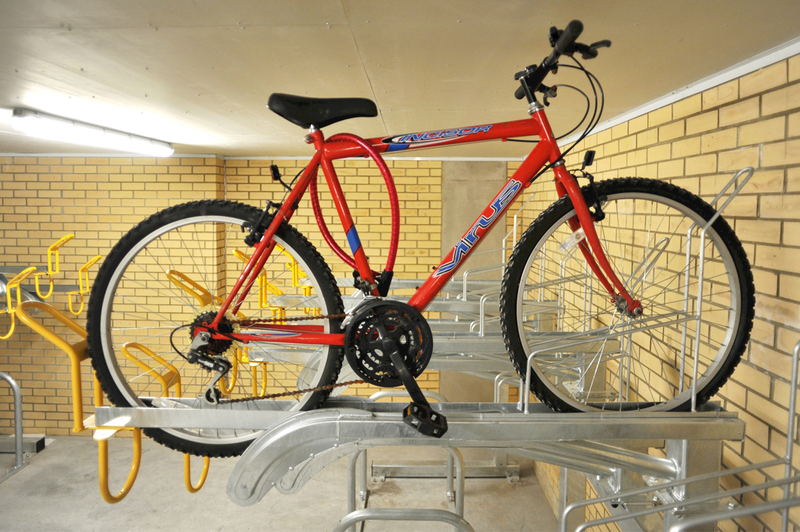 This mass storage solution was well received by users and shows how flexible the Hi-Rise is for indoor as well as outdoor use.